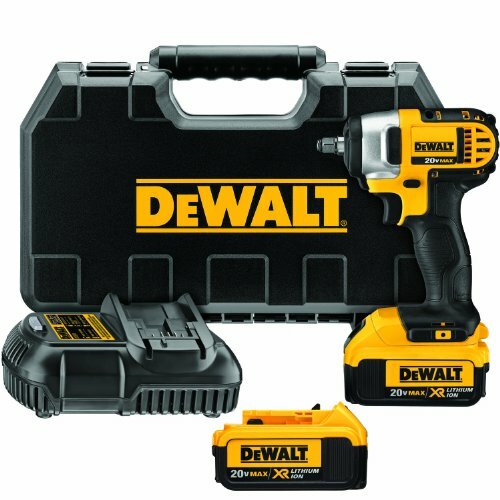 If you are looking for a compact but useful impact wrench, would the DeWalt DCF883B be a good choice? Is there anything about this particular impact wrench that makes it better than the other products which are flooding the market worse than the streets of New York were in the film The Day After Tomorrow? Having reviewed our share of a large variety of hand and power tools–and not just the DeWALT impact wrench variety–we were more than eager to see if the DCF883B impact is as good as the other impact wrenches in or around its class. The tool weighs only 3.4 lbs. and is less than 6” long, making it easy to use in areas which are too narrow for other tools. This is definitely a case for “size doesn’t matter” except that, in this particular instance, it doesn’t quite mean what we would expect. The ergonomic handle is also complemented nicely by its textured grip, which provides a pleasant, non-slip control over the tool. Like most other impacts, you can easily use the DCF883B in the dark thanks to its 3 LED lights. Immediately upon the impact being turned on, the LED lights cast bright lights so the entire work area is visible. 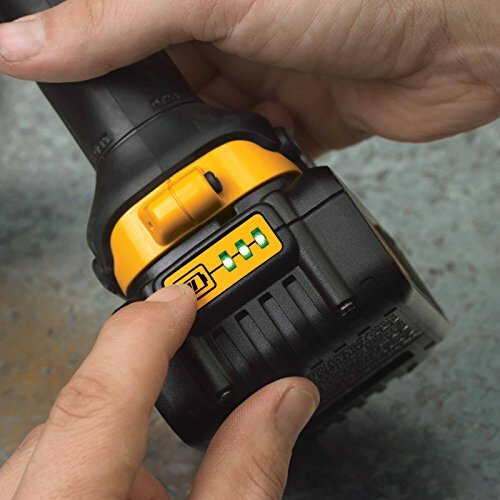 Furthermore, due to the use of 3 LEDs instead of one, it doesn’t produce any distracting shadows by eliminating the typical blind spot that most one-LED inlaid power tools sport. Simple, but something we love. You can quickly change the sockets via the hog ring anvil–a feature not equipped on all impact tools but definitely a good feature for those interested in work efficiency. The DCF883B impact wrench provides its user with up to 2,700 impacts per minute and 156 in./lbs. 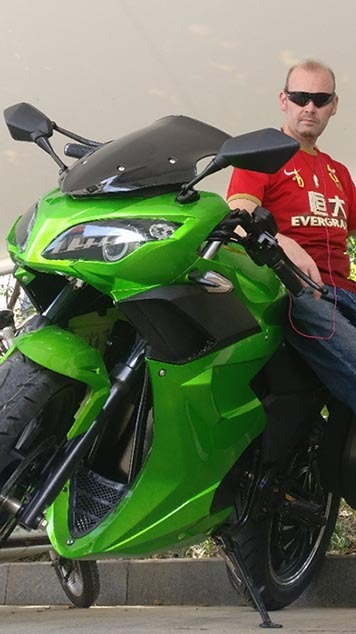 of total torque. The DCF883B has a “frameless” motor, which results in greater speed while performing different tasks. The gear case itself is made of magnesium which is a great heavy-duty material; to add to that, its impact mechanism is heavy duty as well, giving the tool an apparent leg-up over models with similar power specs. The DCF883B mechanism is able to focus and isolate the torque directly onto the fastener itself, without producing any kickback for the user. Batteries not included in the “baretool” version, but there is a kit available here. Because the DCF883B is light, it’s easier to maneuver than similar models. Learning how to use it is easy enough, and the non-slip, ergonomic handle gives you full control during its application. The DCF883B driver’s power is sufficient for home use; it doesn’t lack power but does not pack too much power either. It works great for various tasks and can handle most weekend DIY home improvements with ease. It also does a good job of removing nuts and bolts. It isn’t built for heavy duty use, but for casual users, there is enough power here to get a lot of work done. It weighs less than 3 lbs., so even if you use this continuously, you will not suffer from fatigue. 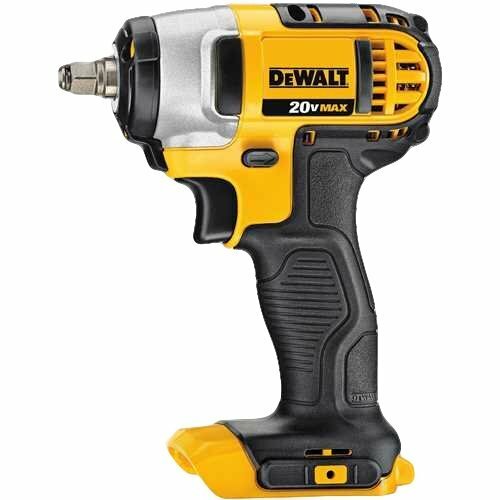 This DeWALT tool’s torque power is sufficient for a lot of DIY projects, and the speed increases productivity. As for the LED light, you might be surprised at just how bright it can get. The LED’s placement on the device is also perfect you can clearly see your project without any shadows. This impact wrench is well-made and has the features most DIYers need. For long-time DIYers, this impact wrench provides a good balance of power and ease of use. The tool is also easy to use and will speed up a lot of the work you have to do. We have already reviewed how well the unit performs when it comes to driving and fastening, so there is no need to repeat it here. The specs also tell you what type of work this impact wrench can do. However, these are not the only reasons why this tool is worth buying. The LED lights for instance, are very effective when simplifying your work. It is not always possible to work in well-lit environments, so having these LED lights makes a huge difference. Then, there’s the fuel gauge indicator, which will allow you to know when it is time to recharge the tool. It also means you can prepare ahead of time if power is getting low. One of the more common complaints with impact wrenches is they’re not comfortable to use. DeWalt has taken care of that here; the handle is not only non-slip, it also has a strong grip. Comfort aside, this tool is also for those who want to get things done in a hurry without compromising results. The mechanisms are also reliable and don’t need a lot of adjustments to work. What it comes down to is this: if you need a very powerful, heavy duty impact wrench, then this impact is not really for you. If you do mostly light to medium DIY projects, then the DCF883B impact wrench is going to be enough for that. There is no need to get a larger impact wrench as this has the specs that can do it for you. This is also for those who need a power tool that can be used in difficult locations. Even if you have a large, powerful impact wrench, it won’t be of much use if you are not able to make it work for you. DeWalt is no stranger to quality power tools, but the DCF883B is an impact wrench that manages to stand out even among their many products. It manages to strike the right balance between ease of use and power, so DIYers can get things done. At the same time, it is also easy enough for a casual user to learn.